Beautiful bracelet made of shimmering ivory pearls, sparkling crystal and silver circles. 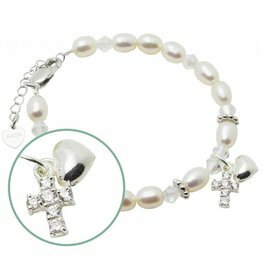 At the bracelets hangs a sweet cross with twinkling rhinestones. Very nice for her communion.